Many a channels kept broadcasting the skirmish over the Bilawal House Wall between PTI and PPP workers the entire day yesterday where one party wanted the other to comply with the court order and the other party, as is the tradition of any feudal lord in the country, remained hell-bent on assuming a more supra-legal status. While this does make for an entertaining episode in the political history of the country, many people do not know what the fight is about. Before I go on to explain what the hoopla is about, let me first tell you that via this post, my intention is to present the facts from a real estate perspective without any political motive. To have a better understanding of this entire topic, let’s just first start with the types of property. To simplify it, let’s just say there are two basic types of property. By definition, private property is personal property, owned by individual(s). Public property on the other hand is owned by the government. The Bilawal House wall, in simple words, has been built on public property and is one of the very commonly seen examples of ‘encroachment’. Encroachment is one of the major issues faced by almost all the major cities of Pakistan but in Karachi, the problem seems to have gone out of control as of late. These encroachments not only have brought down the value of property but have also given birth to countless traffic issues. 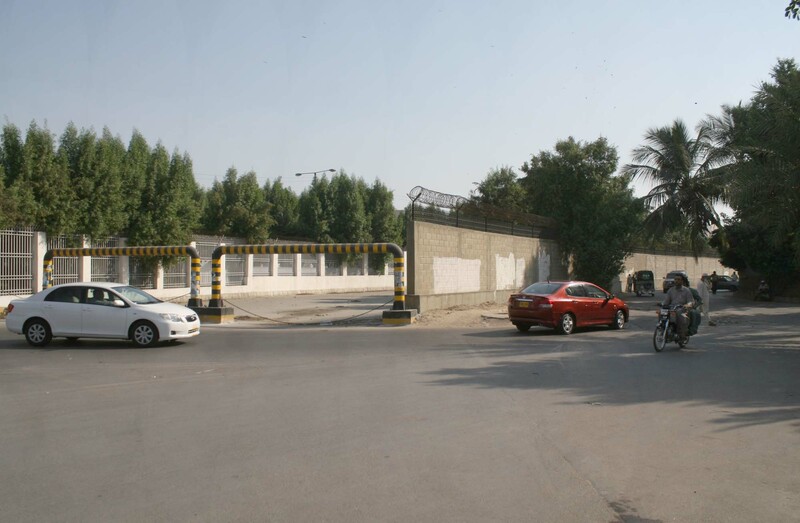 The so-called security wall surrounding the Bilawal House too has caused its share of problems like constricting the flow of traffic. This wall has been a longstanding problem for those who are forced to take this road every day on their way to work and/or back home. In September, the Sindh High Court termed the wall 'illegal' and ordered its removal. This decision was later on endorsed by the Supreme Court of Pakistan. Now PTI wants PPP to comply with the court order but PPP maintains that the wall does not restrict the flow of traffic and will not be removed since there are serious security threats to Zardari and his family. So there you have it, the truth, the whole truth, nothing but the truth about the conflict surrounding the Bilawal House Wall. Who do you think is right?